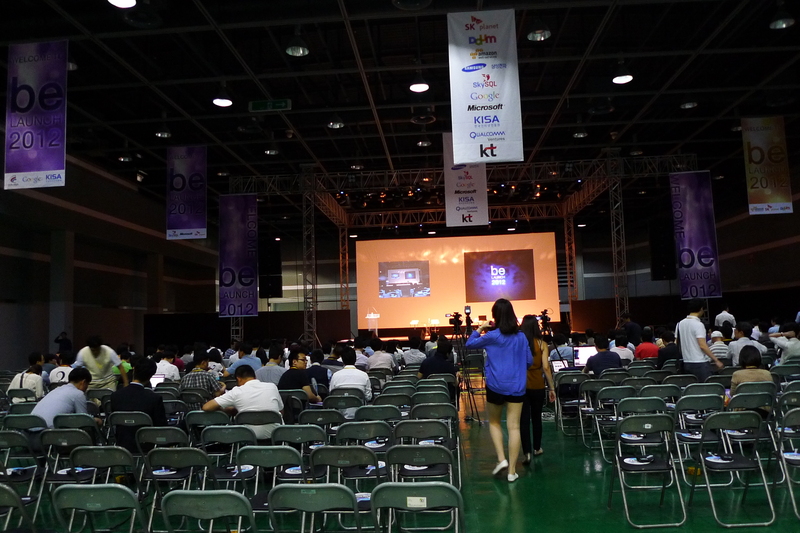 Went to BeLaunch, a conference for and about IT startups, last week! Got in with a press pass – the very first time I attend anything as press. May seem a bit of a cheap thrill to be this excited, but it was a wonderful experience for me – being called a 기자님. I was not that interested in the talks (even though they had a good line-up)but I had a good time touring all the booths and learning about the new and exciting services already launched or launching. Waffle. An interesting wifi service where you will get access to wifi in cafes etc just by logging in through your Facebook account. An ad will be posted on your wall but I think that is a good price to get free wifi! TTTing. An interesting take on social dating service by focusing on matchmakers (anyone) as the target user, instead of the singles themselves. 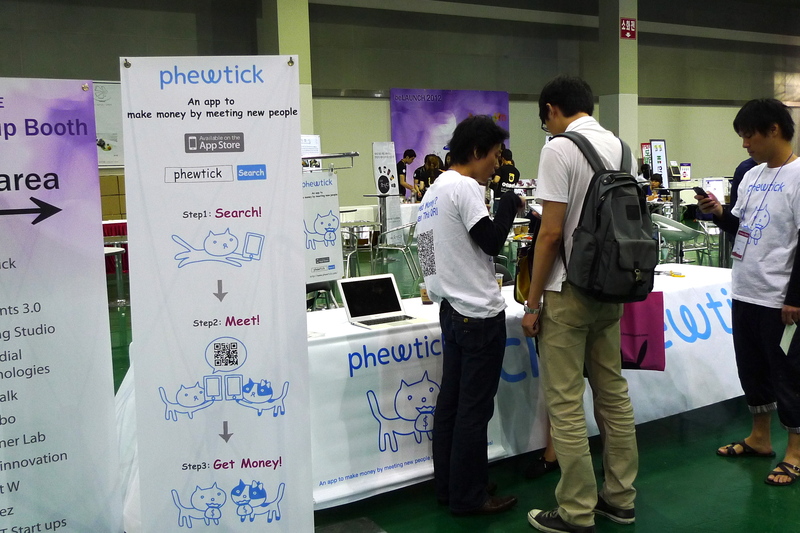 App to be launched in Korea on 7.7.2012. For me, the best part of learning Korean is the ability to communicate with Koreans, meeting new people and learning new knowledge! 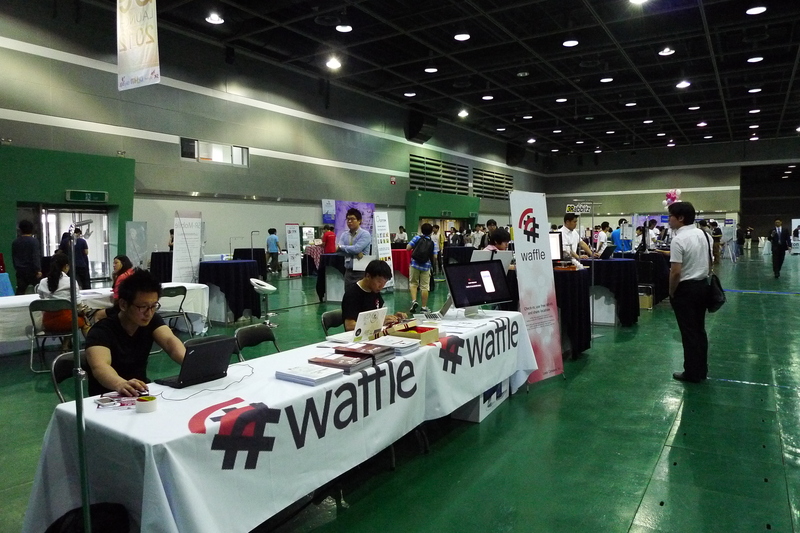 It feels so amazing to be able to go to an expo and really learn about new services, products and ask questions in Korean. Which is something so unimaginable just a few years back. Sometimes, I think that I am getting too comfortable with Korean (or more like comfortable with the knowledge that I can speak it) that I forgot how fascinating it is to be able to communicate in a foreign language. I’m so envy of you… Hahaha… It seems that you really enjoy your life at there. I wonder will you stay at Korea forever?